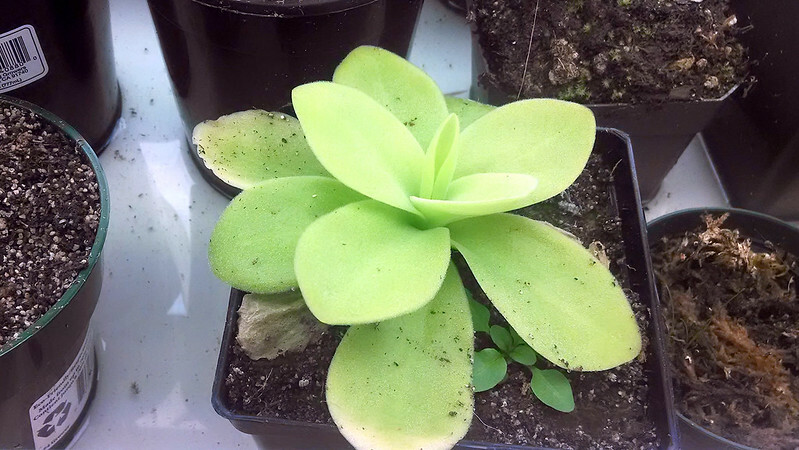 Plant Profile: Pinguicula gigantea |Sundews Etc. There's really no reason to not be growing Pinguicula gigantea. It's one of the easiest and most rewarding plants in my collection. 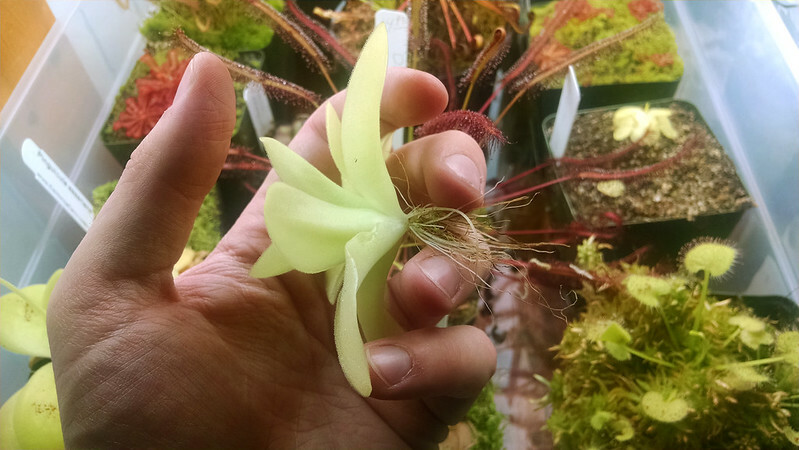 P. gigantea ready to bloom, 1-29-2015. 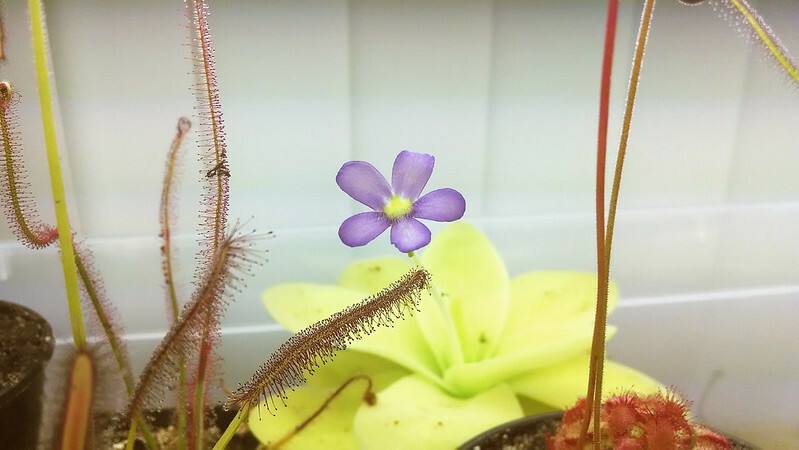 This was my first ping, and one of my first carnivorous plants. I bought it at the winter 2014 BACPS meeting. As I recall it was a Carnivore Culture acquisition. This post takes me back! P. gigantea is a Mexican butterwort, but it's unique in several ways. It lacks a non-carnivorous succulent winter dormancy, and produces mucilage on the bottom of the leaves, unique among Mexican pings. It also gets really big, and has cute purple flowers. This plant gets identical conditions to my easy sundews – Drosera capensis etc. – and loves it. It first flowered for me in late April, after it had been in my collection for around 3 months. The flowers hang around for more than a week, which makes them a really wonderful addition to any collection. They also appear to encourage the plant to divide, which is great! P. gigantea division forming, 5-23-2014. I've never given this plant a dry period, and it gets very bright under my lights, and that has seemed to work very well. It blooms every other months or so, and after a few rounds of blooms it had developed 4 crowns. Now, I haven't tried leaf pullings with this plant yet, but fortunately it propagates itself pretty easily. I basically ignored it and it quadrupled itself. Also, dividing pings is uh, not very difficult. That's my father adding some appreciative grunts to the process. I may try some leaf pullings from this plant, and if I do I'll definitely post it on the blog. For this division (which I used in a trade), I just rinsed the moss and media out of the roots. Ping roots just mainly keep the plant anchored in the soil. P. gigantea offset with roots, 1-29-2015. This is a wonderful plant. If you're interested, Matt usually has it in stock. 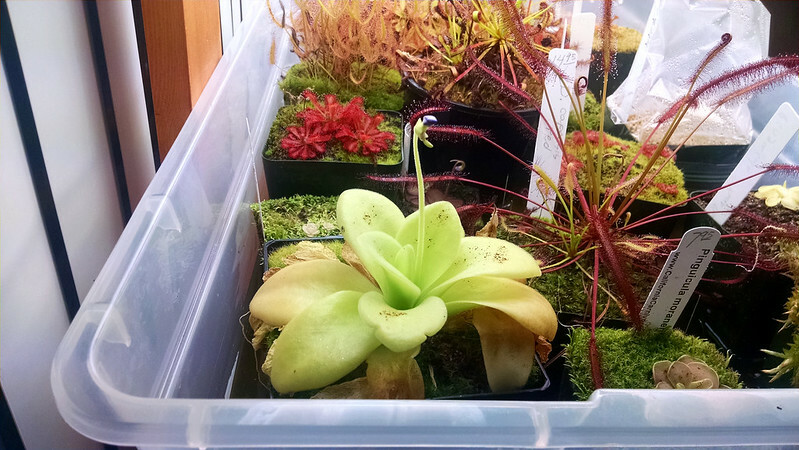 I've never ordered from Carnivore Culture online, but I've heard that the plants arrive in very good shape after shipping. Give it a shot! media: Peat, sand, and perlite. People use all sorts of media for Mexican pings, and I don't pretend to be an expert. I tend to use more aggregate for my ping soil (extra perlite or pumice mostly). light: As much light as possible is good. Brighter light really improves the carnivorousness of the leaves. water: I keep it in the tray wet all year. This species doesn't have a non-carnivorous dry dormancy. temperature: My tray ranges in temperature from the low 50s to the mid 90s. Never had a temperature problem. feeding: I sprinkle ground up fish food on the leaves periodically. It definitely gets digested, and I think the plant benefits. 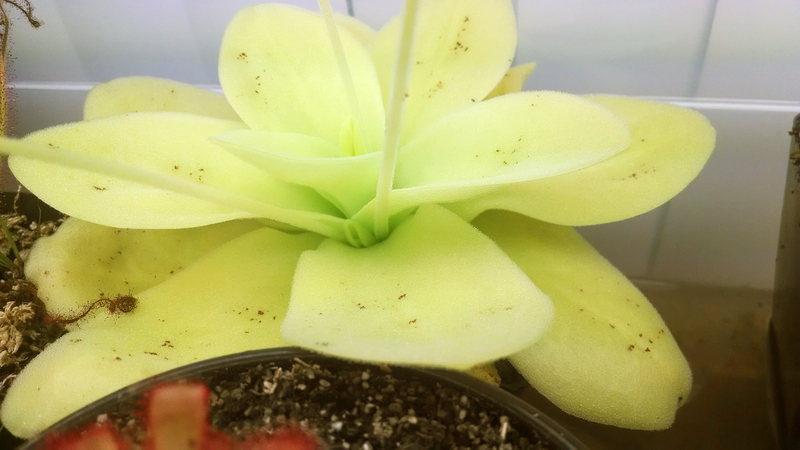 propagation: P. gigantea divides fairly regularly. I believe leaf pullings work, but I don't have any experience. 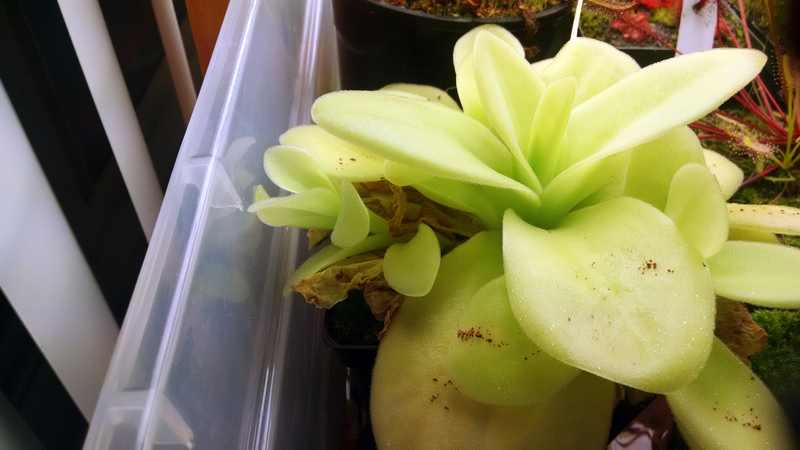 Can I put the Pinguicula gigantea under a desk lamp all day? Would that help it? I water it every now and then by sprinkling reversed oxmosis water so that the soil is always a little wet. It has caught flies and some beetles, should I still give it Fish food? Please help me, I don't want my plant to die.